It’s no surprise that many car wash owners are eyeing mobile apps and mobile technology as an innovative way to reach their customers and generate more revenue for their operations, but understanding what makes a car wash mobile app successful is a critical first step before introducing a product like this to your own market. Just like not all cars are created equal, not all mobile apps are created equal either. It’s important to identify what separates the ones that will position you for success from those that could tarnish your brand and leave your customers frustrated. When done correctly, a mobile app is a powerful marketing and sales tool that can generate significant revenue for a car wash owner that would be very hard to match with any other form of marketing. Big brands in many industries understand this: Starbucks, for example, has one of the most successful mobile apps for a business of all time. Despite being around for decades and having a mobile app for just a couple of years, Starbucks already receives roughly one-third of its multi-billion dollar revenue directly through its mobile app, which is an astounding number. Wash owners can reap these same benefits on their own scale using similar technology and strategies that are proven to work. Many car wash mobile apps on the market today, unfortunately, are not well-positioned for success. Either they don’t contain the features or customer “engagement hooks” that offer a lot of value to their end users — they weren’t developed by experienced app developers — or they weren’t built into a bigger-picture marketing strategy for the wash. For example, offering a mobile app to your car wash customers that just offers loyalty reward points, information on your services, or driving directions to your locations is not going to generate the kind of success you are seeking. Most people who download such an app likely won’t use it very much or will eventually delete it because it just doesn’t offer much value. Not to mention, an app must load very quickly, be reliable, easy to navigate, and offer a great user experience, otherwise it will likely meet the same end. This is why native mobile apps have a clear advantage over hybrid web-based apps. Native apps, like the Starbucks mobile app, offer the performance, quality, and unique features that hybrid web-based apps just cannot match since native apps are developed specifically for iOS and Android smartphones. Real-world data has shown that car wash mobile apps that are built on rock-solid infrastructure and have the right set of features can greatly exceed average wash revenues regardless of location. 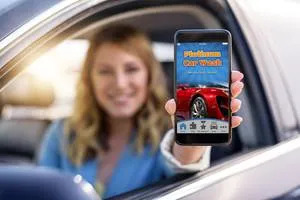 Incentives, entertainment features, fleet account management, prepaid balances, and the convenience of purchasing a wash directly inside the app are just some of the ingredients for a successful car wash app. The right tool for the job can make all the difference in the world, and this type of mobile app can easily be the secret weapon for car wash owners when it comes to boosting sales and staying relevant in today’s digital economy. When publishing a mobile app that is branded to your wash, it is also important to work with a company that has lots of experience not just with the technology itself but also with marketing it and getting it into the hands of as many customers and future customers as possible. Clear and effective signage at your wash facilities, targeted online ad campaigns to drive downloads, and use of “smart links” with QR codes in strategic online locations are just some of the techniques that lead to a successful app. By recognizing that your car wash mobile app is the most critical asset in your digital ecosystem, you’ll be able to leverage your other digital assets, such as website, social media feeds, review sites, e-mail list, SMS list, and more to drive traffic to this tool. After all, a car wash mobile app is the most active form of marketing available to wash owners today. When we look at the trends of the car wash industry and the economy as a whole, it’s no surprise that innovative software and technology is becoming a key differentiator between successful merchants and those that are falling behind. We are also seeing the smartphone become the primary “controller” for many systems, including the latest vehicles on the market. With this in mind, the car wash owners who embrace mobile technology sooner rather than later will reap the greatest benefits when apps can be used to activate the car wash directly from your vehicle’s dashboard. Sound a bit too far-fetched? These capabilities are already becoming a reality, and it’s a matter of time before they become second nature, much like the ability to order groceries from the comfort of your home. Alan Nawoj is the founder and CEO of Beacon Mobile, headquartered in San Diego, CA. Beacon Mobile is a provider of innovative, high-quality, native car wash mobile technology solutions that help car wash owners generate more revenue, boost customer loyalty, reduce claims, and improve operational efficiency. For more information, visit www.beaconmobile.com, e-mail carwash@beaconmobile.com, or call (858) 519-8277.